We build custom SMS application for your business! Check our demo account with 10 free SMSes to test our bulk SMS application. 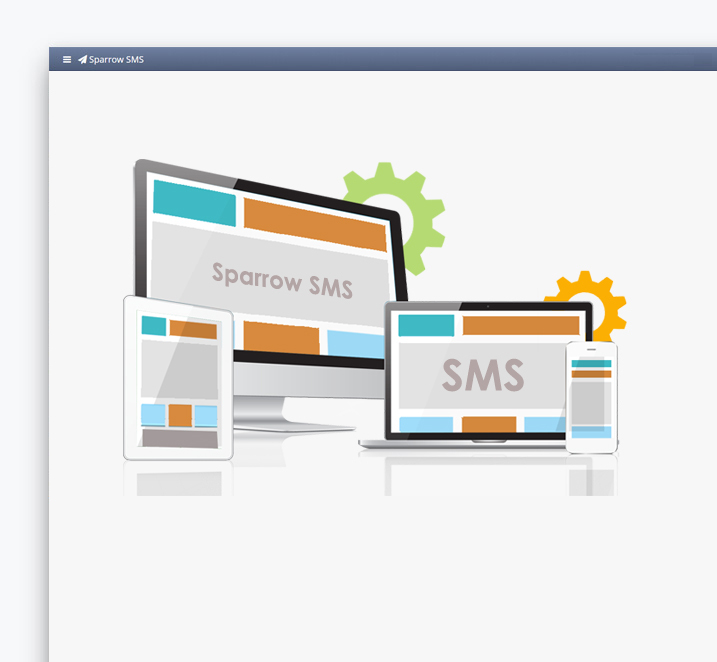 Sparrow SMS provides several SMS based applications which you can easily integrate with your web app. All the applications or modules that have been implemented are designed to fit specific business requirements. You can either integrate our available modules for better data collection, visualization and reporting or contact us with your specific requirement. We can help you build custom SMS application that best fits your business. User management module allows you to create and manage users and their sub-accounts under different departments with access control and privilege management for different type of users. SMS scheduler module allows you to schedule SMS messages at a later date and time. SMS based result module allows to send examination results to students in bulk. Address each of your contacts personally and you can send dynamic messages to all at once effortlessly. Generate coupons, loyalty points and rewards, track their usage and provide you the complete analytics for the coupons. We help you to launch SMS Voting Campaigns with detail analysis and live tracking to interact and engage the audiences with your brand.